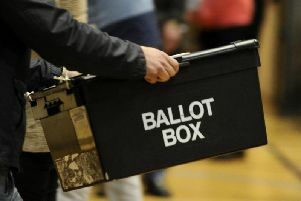 Blackpool could be in line to hold one of the main party conferences again after nearly a decade in the wilderness. Council leader Coun Simon Blackburn has revealed one of the main political parties has been in touch about possibly bringing its autumn conference to the resort in 2019. It is nine years since Blackpool last hosted a major party conference when the Conservatives came here in 2007. Since then there has been huge investment in the Winter Gardens which has been in council ownership since 2010. An ambitious bid to build a new conference and exhibition centre on the side of the Grade II listed complex is currently being considered. Coun Blackburn said: “I can confirm that one of the major national UK political parties has approached us, with a tentative inquiry about holding their main annual conference here in Blackpool in 2019. Coun Blackburn revealed the inquiry at last Wednesday’s full meeting of the council after Tory councillor Maxine Callow warned it was essential the resort reclaimed conference trade. She said: “Blackpool needs political conferences. “We get people coming to Blackpool who will spend their money here and we get the kind of publicity on the television that you can’t buy. It is estimated Blackpool is losing between £15m to £20m a year by not hosting one of the main annual conferences. Labour will bring its North West regional conference to the town for the fifth year running this autumn. But the resort has lost out as political parties favour big cities, with Labour going to Liverpool this year and the Conservatives set to gather in Birmingham. The Liberal Democrats are going to Brighton this year, while UKIP held its conference in Bournemouth. Plans for a £25m conference centre at the Winter Gardens are due to go before council planners tomorrow. A funding bid is also being made to central government. If the scheme gets the go ahead, the new venue could be ready in late 2019, and would bring the total capacity of the Winter Gardens, including the Empress Ballroom, to 7,000. However one of the main stumbling blocks has also been the lack of a large, top quality hotel close to the venue. There is planning permission in place for a 63-bedroom hotel on Leopold Grove but so far the development has stalled.